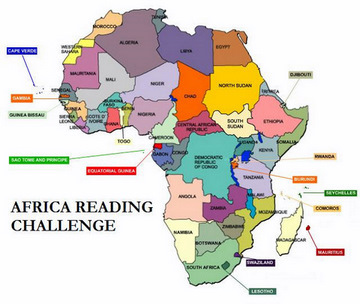 Eritrea has a rich literary culture dating back centuries. I know nothing about Eritrean literature, a situation I intend to remedy in the near future. Who Needs A Story? Contemporary Eritrean Poetry in Tigrinya, Tigre and Arabic, edited by Negash and Cantalupo will help. The anthology features the work of 22 poets including Eritrea’s best known poet, Reesom Haile. 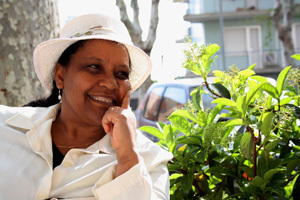 Ribka Sibhatu was born in Asmara but lives in Rome. She was imprisoned for one year and fled her country in 1980. The theme for today’s Another 21 Days/21 Poems is dictatorship. lived a girl from Asmara. like kohl rhymes round an eye! and sent it empty of hmbascià bread. they took her from me in handcuffs! but in the dark she’s everywhere. that now bite into me. Translated by The Poetry Translation Centre. Visit their website; they do good work!